Each and every time that I have a competitive driving dream, I wake-up with white knuckles. Seriously, when I think of the most challenging roads that could be driven and the perfect car with which to drive them, I get a little worked up. How about you? No, well maybe you have never heard of these state and national highways; some are just short stretches of road. Some are rural, some urban, some are local, and some are very exotic but they are never boring. These are some of the most thrilling driving routes on the planet and the cars that are made to tame them. US Route 89 runs South and North from Flagstaff, Arizona then passes near the Grand Canyon National Park and through the Navajo Nation. 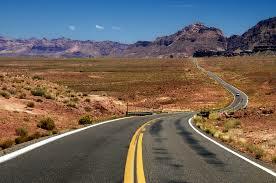 Near the Utah border the highway splits into two roads. US 89 is a new highway constructed in the 1960s and US 89A is the original highway which crosses the Colorado River at Navajo Bridge and skirts the North Rim of the Grand Canyon before entering Utah. It crosses into Utah (where the 2 highways rejoin in Kanab) and abruptly turns north becoming the Mount Carmel Scenic Byway. It continues across Iowa and through Idaho and Wyoming. It ends in Montana. In Montana US 89 becomes Going to the Sun Road in the Glacier National Park, where you will find some awesome scenery and driving challenges. As long as you don’t plan on taking the kids and the dog along on your 1,250 driving excursion, this two-passenger fire breathing beast of an automobile will always leave you wanting more. As with any vehicle that comes from the factory with six-point racing harnesses already included, you will have to maintain you’re A-game behind the wheel of this beast. 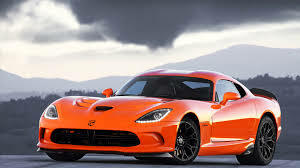 Powered by a 640-hp V-10 that pumps out 600 lb.-ft. of torque, through a six-speed manual transmission, the Viper makes short work of 0 to 60 mph in only 3.7-seconds. The interior is not comfortable and you may get a touch anxious but the ability to outrun everything except your own shadow is so overwhelmingly wonderful that you can get accustomed to it. The exterior features a menacing crouch with sculpted lines and vivid color options. The Viper will melt into those canyon corners, where it sticks to the pavement like it is glued, biting hard on acceleration and begging for more in those desert straightaways. This section of the California Coastal Highway enters the Big Sur Region by crossing the San Carpoforo Creek, just south of Monterey County. From there to the Carmel River the road winds and hugs the cliffs of Big Sur while passing some of the most beautiful coastal parks in the world. 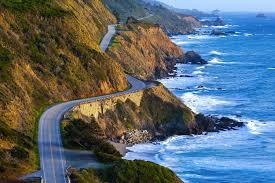 Highway 1 also leaves the coast for a few miles to go through a redwood forest in the Big Sur Valley. This short section of state highway crosses several historical bridges. It was built between 1919 and 1937. We’re just out there having fun in the warm California sun… If you are waiting for me to recommend a European sports car for a beautiful stretch of paved California paradise, then I hope that you brought your lunch. 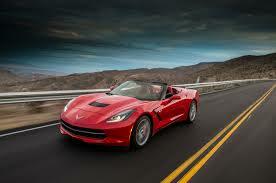 The Stingray Convertible is the perfect car for this day trip. It has the power to make things interesting and the style to look good doing so. 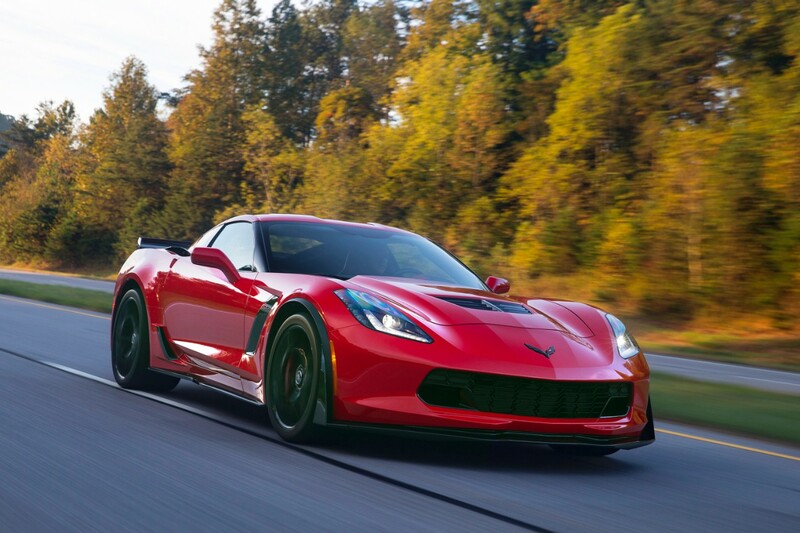 Close your eyes and imagine the throaty rumble of the Stingray’s 455-hp 6.2-liter V8; as loud or as soft as you want it to be. Now think about the top down, soft, warm, salty sea air splashing across your face. How could there be anything any better? Sure the Stingray is another two-passenger sports coupe but it sure knows how to straighten the curves with a finely tuned suspension and it rides great. The interior is more comfortable than some thanks to more padding in the seats and all of the latest amenities. This car just goes with a highway that offers some of the most beautiful scenery and charged driving in the world. This stretch of road was made famous in the James Bond Film called Goldfinger. You may remember 007 entering into a playful game of catch with a knockout blonde in a white Mustang convertible. He eventually utilizes the special features on his well equipped Aston Martin to give her a flat tire and then a lift to safety. It was typical James Bond, this time on the Furka Pass. 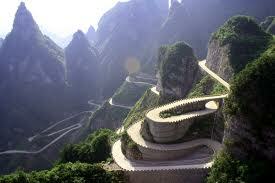 It consists of a maze of death defying hairpin curves and moderate straightaways. This is a high mountain pass in the Swiss Alps connecting Gletsch, Valais, and Realp, Uri. Despite inordinately cold winter temperatures this is a beautifully scenic drive. It features sheer drop-offs with craggy rocks embedded therein, beautiful snow covered mountains, and some of the most radical competitive driving that you will ever experience. 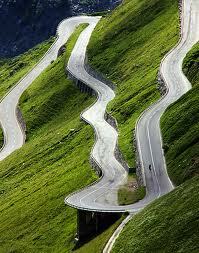 I am talking about blistering S curves, fast straights, and mind-blowing hairpins. Alright this car has a back seat; maybe so and maybe not. 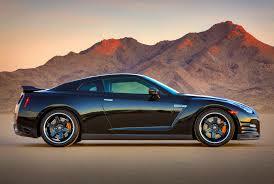 The GT-R is perfect for this particular road because of the curves and stops. While the GT-R is well equipped with a 3.8-liter twin-turbocharged engine that delivers 545-hp, it must also be able to handle extraordinarily well and stop on a dime. The GT-R has all of those things well in hand. It accelerates as quickly as any half-million-dollar super car on the market, blasting from 0 to 60 in an astoundingly quick 3.1-seconds. The GT-R comes with Brembo four-wheel disc antilock brakes, electronic stability and traction control and it can come to a dead stop from 60 mph in just 9.8-seconds. The GT-R is distinctively equipped with an all-wheel drivetrain and the Track Edition has undergone a rigorous weight reduction plan, including rear seat delete by the way. Perfect for the Furka; what did you think I was going to unleash an Aston Martin?